BetyBedy Large-eye Blunt Needles Our large eye blunt needles are good for weaving in ends and sewing up seams on your knit and crochet projects. From BetyBedy Designer Brands, protected by the US trademark law. Specifications: Material: Stainlees steel Head color: silver The large eye blunt needles size: 3 x 5.2 cm/2.05 inch, 3 x 6 cm/ 2.37 inch, 3 x 7 cm/ 2.75 inch. Features: With extra large long eye, the stitching needles are easy to thread yarn through even without a threader. 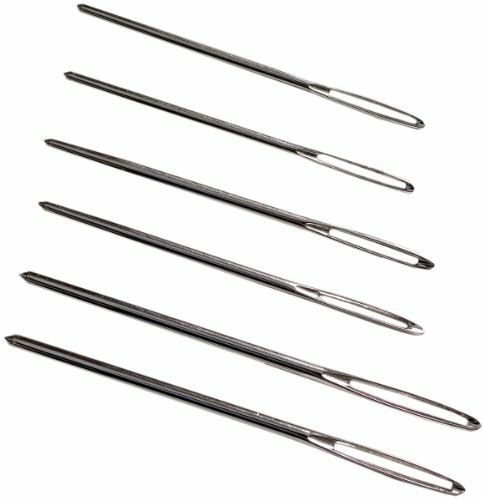 Package includes: 3 x 5.2 cm/2.05 inch Large-eye blunt needles. 3 x 6 cm/ 2.37 inch Large-eye blunt needles. 3 x 7 cm/ 2.75 inch Large-eye blunt needles. 1 x Clear bottle. Warning: Please keep it away from your CHILDREN and PETS! What are you waiting for? Come on and add to your cart NOW! 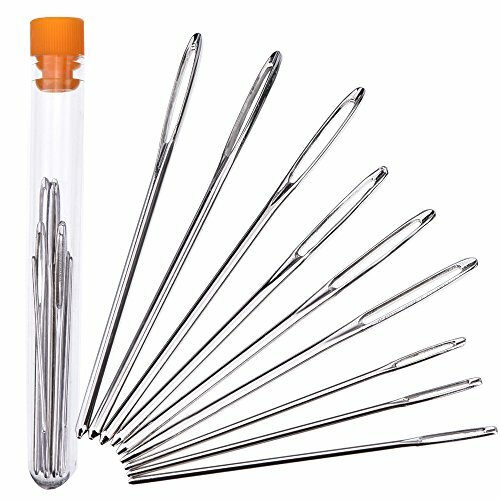 These blunt tip needles have 3 different sizes, 5.2 cm, 6 cm and 7 cm in length; Can meet your different DIY requirements. 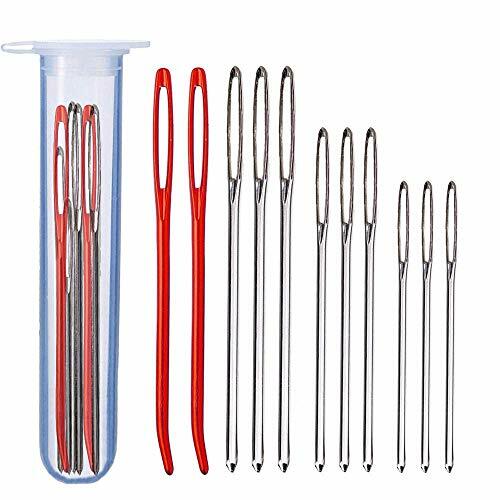 5 Pieces each size, total: 15 pieces; Enough for your spare or replacement; Blunt yarn needles are made of steel, won't rust or bend easily; With blunt smooth tip and thick shaft. 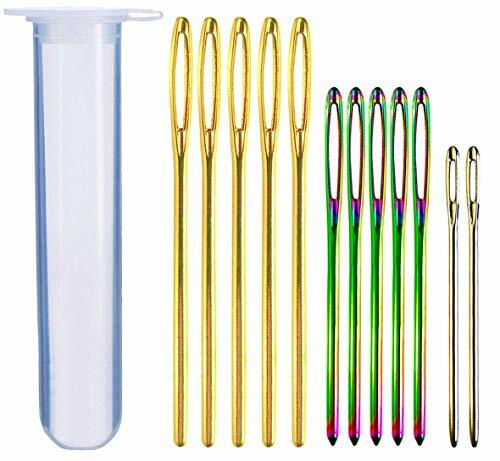 these blunt needles are easy to thread yarn through even without a threader; Convenient to use. 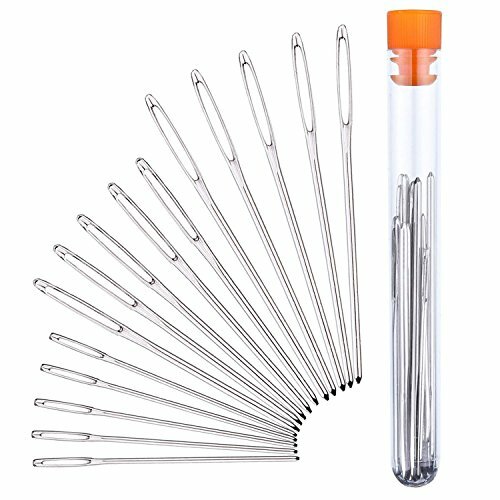 Come with a clear bottle, these blunt knitting needles are easy and convenient to carry and store. 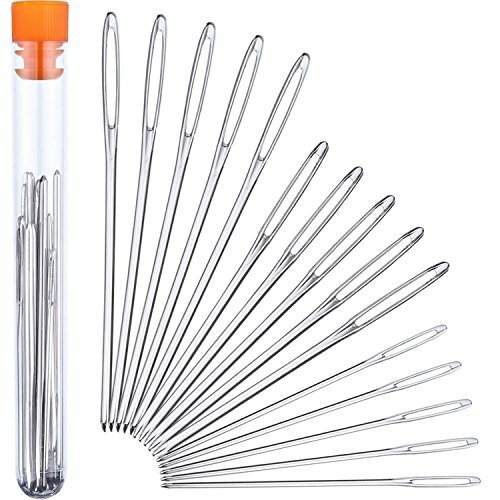 The steel crochet needles are good tools for weaving in ends and sewing up seams on your knit and crochet projects. 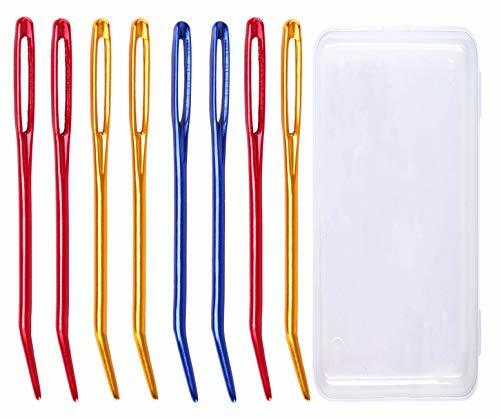 Specifications: Material: steel Head color: silver The large eye blunt needles size: 5 x 5.2 cm, 5 x 6 cm, 5 x 7 cm Features: The large eye blunt needles are good for weaving in ends and sewing up seams on your knit and crochet projects. Package includes: 5 x 5.2 cm Large-eye blunt needles 5 x 6 cm Large-eye blunt needles 5 x 7 cm Large-eye blunt needles 1 x Clear Plastic Box Note: Please keep it away from children. Outus 15 pieces blunt needles steel large-eye yarn knitting needles sewing needles, 3 sizes 15 Pieces blunt needles set Large-eye yarn needles length are 5.2 cm, 6 cm, 7 cm, 5 pieces for each size, good for weaving in ends and sewing up seams on your knit and crochet projects, suitable for most sewing works such as embroidery, darning, quilting, crafting, etc. 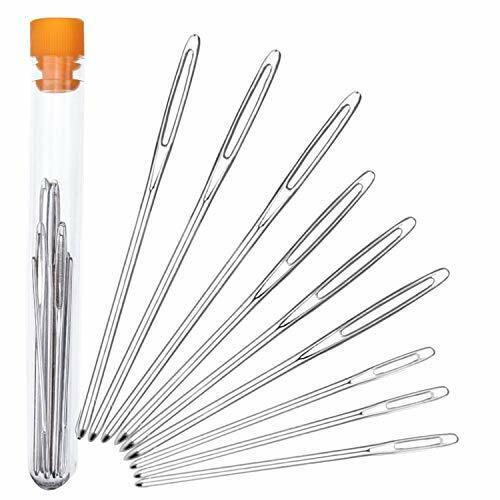 Durable and easy to thread Blunt yarn needles are made of steel, don't rust or bend; With extra long eye, blunt smooth tip and thick shaft, don't catch the yarn and easy to thread yarn through even without a threader. Various sizes and easy to store Multiple sizes large-eye yarn needles allow you to choose the best needle for your crafts; 15 Pieces in one clear bottle, convenient to store Package includes: 5 x Large-eye blunt needles (5.2 cm) 5 x Large-eye blunt needles (6 cm) 5 x Large-eye blunt needles (7 cm) 1 x Clear bottle Note: Please keep it away from children. Shopping Results for "Knitting Sewing Needle"